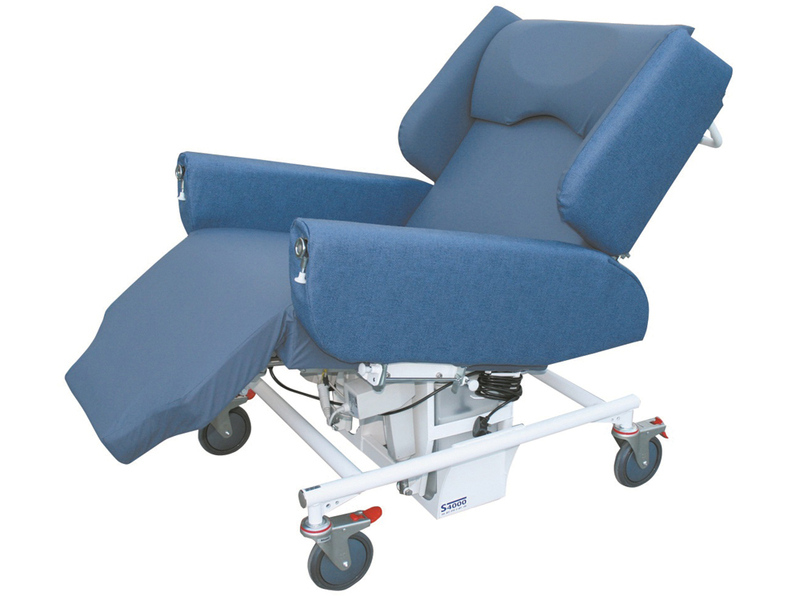 Offering the capability and functionality of a bed with full electric operation and a high dependency castellated foam surface. 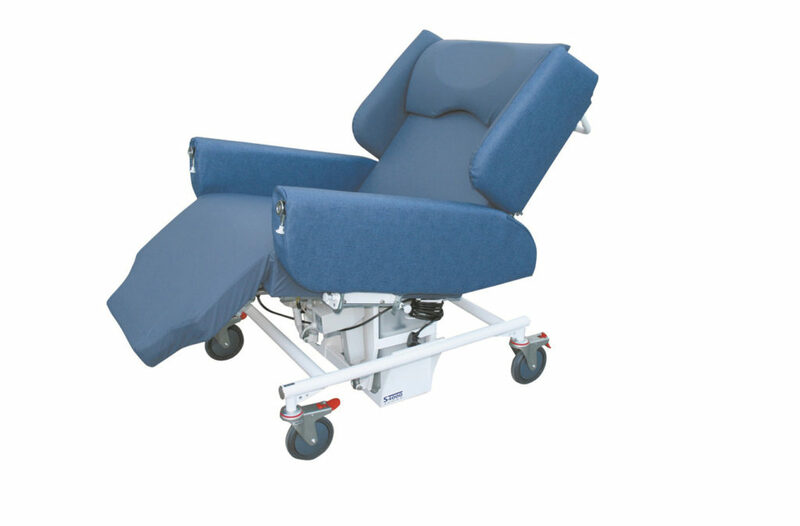 This chair is designed to be used as the first step from bed to chair for high dependency patients and allows for easier bed to chair lateral transfers. 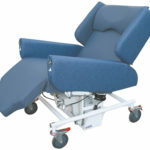 Can be used to assist with sit to stand exercises during early stages of a patients rehabilitation. 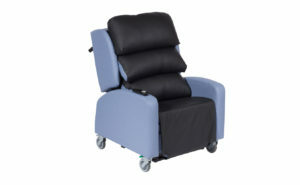 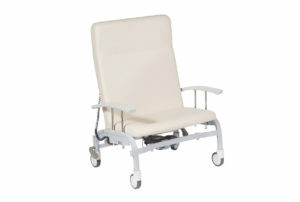 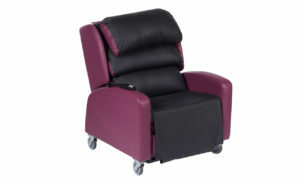 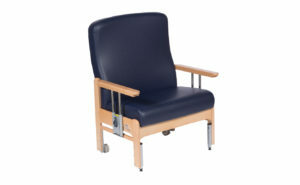 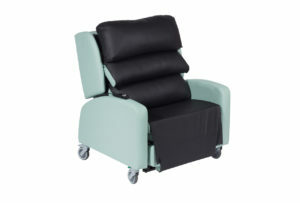 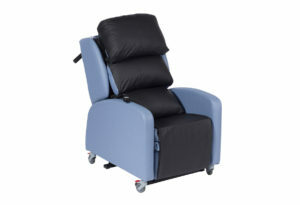 Large castors and a rear handle also allow for patient transportation.